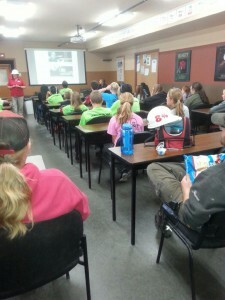 On October 7, 2015 the North Central Wisconsin Workforce Development Board and Central Wisconsin Metal Manufacturing Alliance held their 4th Annual “Heavy Metal Tour.” The tour encompassed over 3,500 8th grade students throughout 10 counties in north central Wisconsin, and included participation from 56 regional manufacturers. 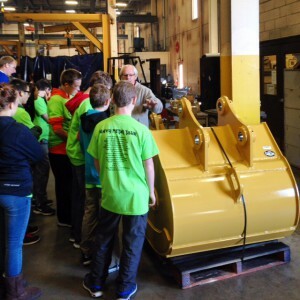 The tour is designed to promote educational awareness and career opportunities to 8th grade students, featuring innovative careers in manufacturing. The students received tours of local manufacturer’s and an informative lunch presentation from Nicolet College, North Central Technical College, and Mid-State Technical College, highlighting career pathways which transition to successful opportunities in manufacturing.